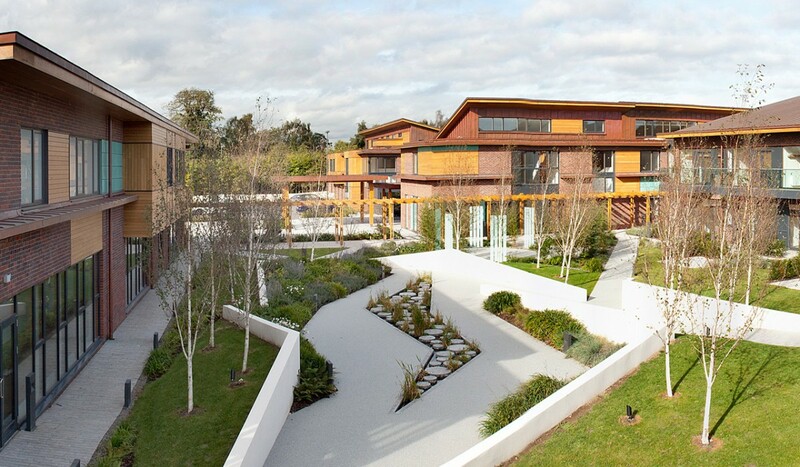 St Francis Hospice is a voluntary organisation established in 1989 to provide hospice care to the people of north Dublin, city and council. In consultation with the HSE it was established and agreed that a dedicated hospice facility was required for Dublin North West. A site was acquired within the grounds of the Abbotstown lands, to the east of Connolly Hospital Blanchardstown. 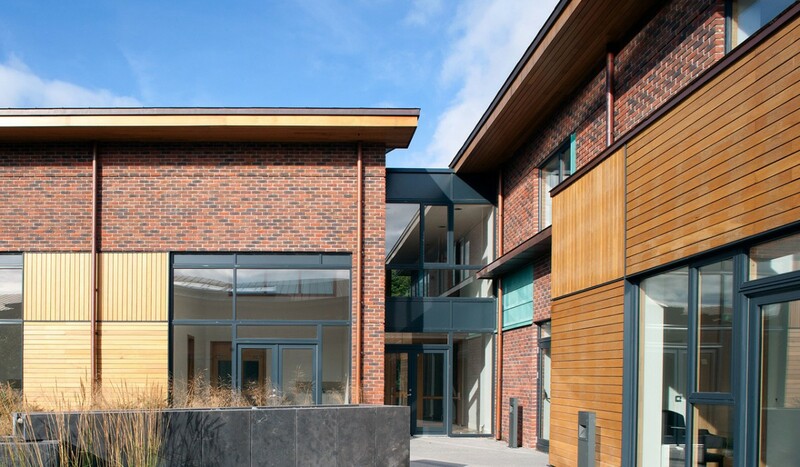 Our client provided a detailed brief based on their existing facility at Raheny. The challenge was to combine all of the diverse and varied functions and to create a holistic healthcare setting with a homely, welcoming and non-clinical feel. 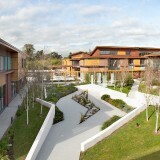 “Connection with nature” is the key theme and where possible patient areas are connected through outlook and access to therapeutic gardens. As the brief was developed further it became apparent that there are two main functions. Firstly Daycare and associated therapy areas, outpatients and a home care facility and secondly the 24 bed In-Patient unit and associated services. The Daycare spaces branch west from the main entrance have been arranged around an “active “garden where activities such as art therapy and physiotherapy take place. The in-patient Unit spaces branch to the east with bedrooms in groups of three located on two sides of a tranquil patient garden. This garden includes a sheltered spiritual area close to the chapel. 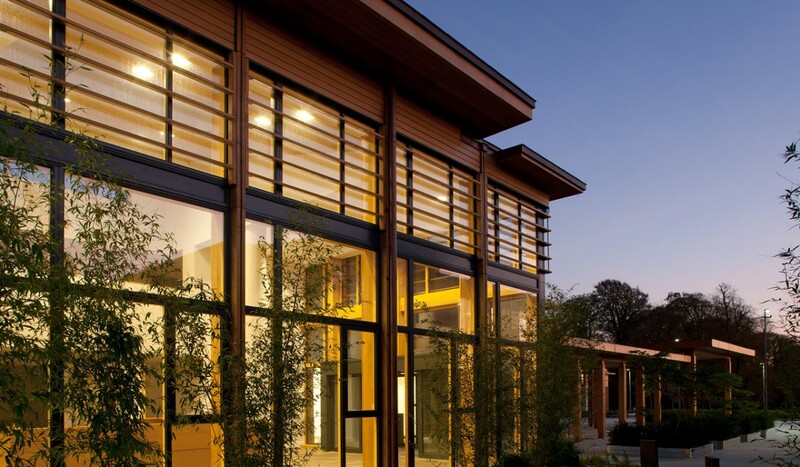 The positioning of the building forms create sheltered gardens and a symbiosis between building and landscape help to empower patients and families and promote privacy and autonomy. 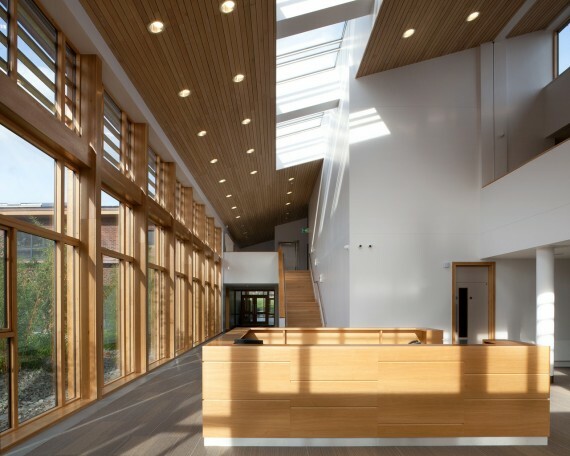 Key patient areas such as the daycare room and patient bedrooms have been orientated west and south to ensure that these spaces can benefit from sunlight. 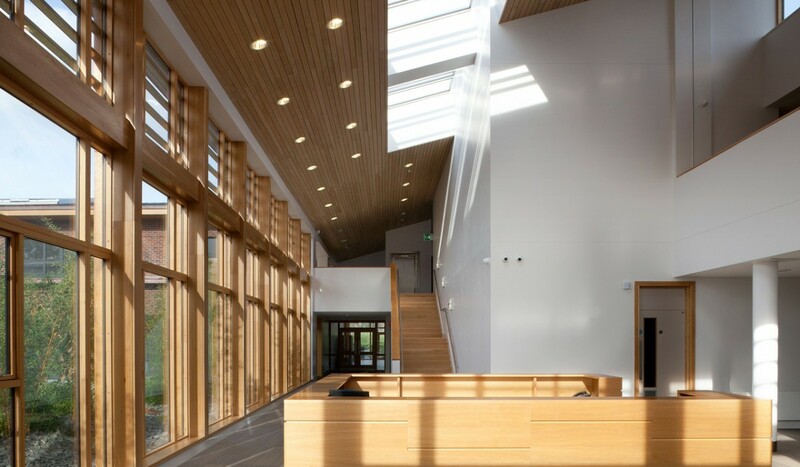 Circulation spaces are filled by natural light from either double height glazed areas or top lit through the roof plane. Seating areas punctuate circulation spaces at intervals and provide relaxing spaces in patients/visitor areas and in staff areas provide multidisciplinary meeting spaces. 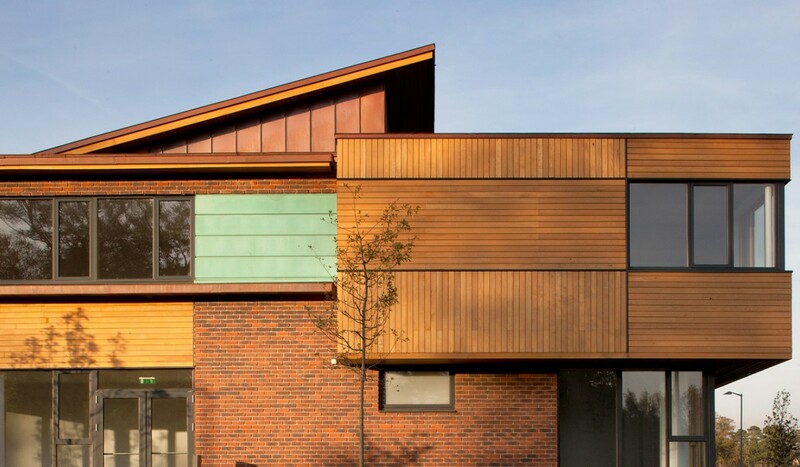 The palette of materials used – brick, copper and timber are natural and sustainably sourced and the texture and grain provide scale and colour.